Kerobokan is a resort area in Bali’s southwest that borders just east of Canggu and west of the upscale area of Seminyak. 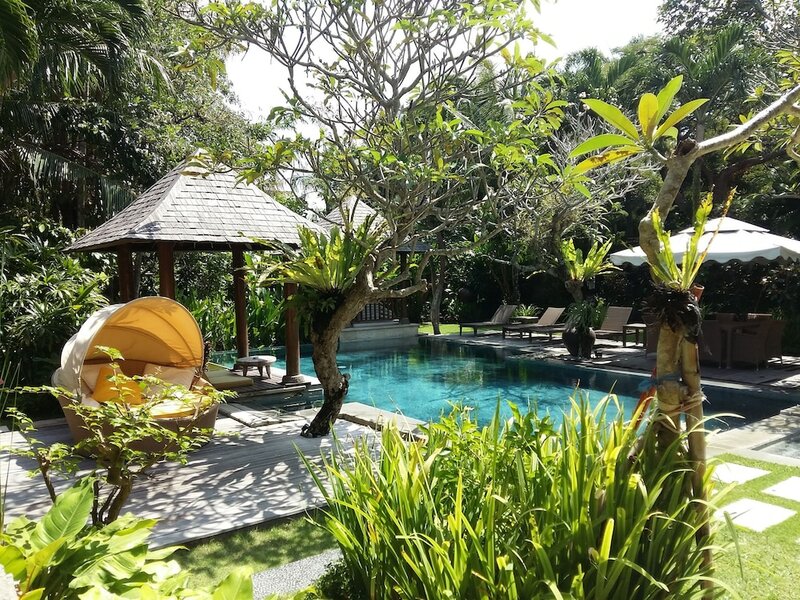 Despite the more urban scene compared to neighbouring beach resorts, Kerobokan pretty much shares the colourful mix of world-class dining venues and the modern and urban style villa resorts that both Canggu and Seminyak have become recognised for. Here you’ll find a good combination of modern development, luxury lifestyles and long strips of beaches. Most visitors know Kerobokan due to the black sand beach and popular surf breaks at Berawa. You’ll also instantly notice that Kerobokan is a sight of contrasts. Commercial blocks with designer boutiques and are interwoven with patches of existing rice fields, and in some areas, rural traditional Balinese villages. Find out more about the offerings of this often overlooked resort area here. Jalan Raya Kerobokan is one of Bali’s most popular go-to destinations for homeware, décor, furniture and art items.